The central government has initiated the Swachh Bharat Summer Internships - 2018 planning at enrolling students for encouraging swachhata (cleanliness) in villages, states a circular issued by the MHRD. 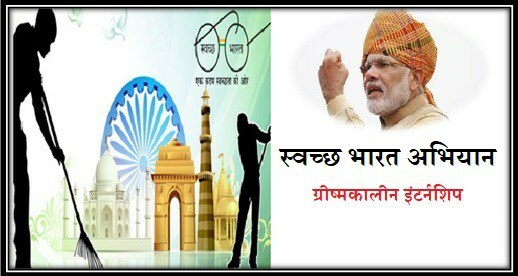 Candidates who wish to take advantage of Swachh Bharat Internship scheme they may apply online through the official site. University Grants Commission through a letter issued late last month eligible this internship as being eligible for two educational credits like non-compulsory paper. Under this, contenders are invited to choose a village of their choice and work with the village group of people for building a lasting system for civilizing the largely hygiene and cleanliness in the village. It is probable that every candidate would devote at least one hundred hours to swachhata, and take out precise measures for improving the sanitation and hygiene in the village. Swachh Bharat Summer Internship scheme is launched by the MHRD in association with the Ministry of Drinking Water and Sanitation. Student register for the internship is expected to approve one or more villages and conduct activities of their option to contribute to the reason of rural sanitation in India. Main objective is to engage youth across the country, develop their skill and orientation for sanitation related work and make Swachh Bharat Mission a Jan Andolan, states the release. Duration would be at least 100 hours and the period is the month of May to July during the summer vacation. The government of India has extended the last date for registration and the end date is till June 15, 2018. Earlier, the closing to apply was May 15, 2018. Prime Minister of India Mr. Narendra Modi had announced the internship during his 'Mann Ki Baat' address on April 29. Students of higher education association and members of Nehru Yuva Kendra Sangathan can now register for the internship till 2018, June 15.The extension has been given to make possible the youth across the country, for the most part those in colleges who would be pre-occupied with educational matters and exams.